How Many TURBO Emblems Does an 80s Mitsubishi Need? 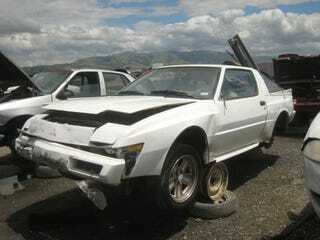 The Malaise Era was followed by the Turbo Era, and nobody got more into the entire Turbo Way Of Life™ than the Mitsubishi team responsible for the Starion. Even as it prepares for crushing, this '88 radiates turbo-osity! Seat belts with TURBO logos stitched in! And a bunch of TURBO advice.